Holt and Jake investigate a case at Kevin's university; Terry and Amy take the squad out for lunch. If the Red Sox hope to get a deal done with one of their impending free agents, they better make it quick. Red Sox President of Baseball Operations Dave Dombrowski says that barring anything unexpected, the team does not plan on negotiating contracts once their season gets underway. The Red Sox have reportedly locked up ace Chris Sale, who would have become a free agent after this season, but they have some decisions to make regarding the expiring contracts of Xander Bogaerts, Rick Porcello, J.D. Martinez (opt-out), and Mookie Betts (2021). 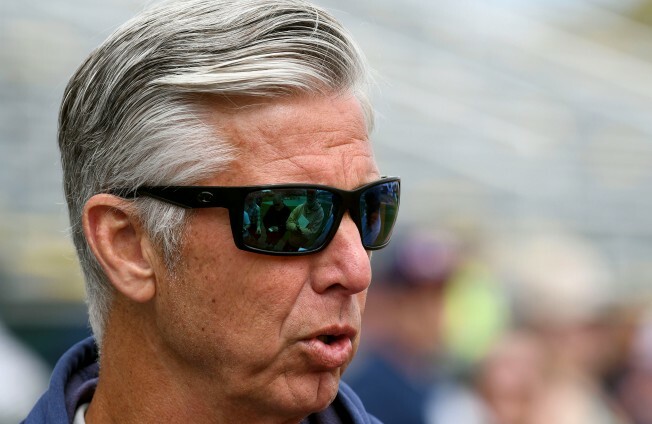 Dombrowski has admitted before that the team will be unable to retain them all, and Jon Heyman reported Thursday that nothing has changed on that front. Red Sox have several stars eligible for free agency after this year or next. After 2019: Bogaerts, Sale, JD (both this year/next), Porcello. And GM Dave Dombrowski said, "We know we won't be able to keep all of them under today's system and finances (meaning 1 or more will go)." In addition to Sale, Bogaerts and Betts reportedly have been approached for contract discussions, though no other deals appear to be imminent. There hasn't been much buzz surrounding the status of Porcello's expiring contract, and no talks of a possible extension for Martinez either. Contract extensions have been given out like candy over the last few weeks, with stars Mike Trout, Nolan Arenado, Alex Bregman, Paul Goldschmidt, and Blake Snell all agreeing to new deals. If Dombrowski indeed is closing the door on extension talks past Opening Day, there isn't a whole lot of time left for a deal to get done. The Sox season begins one week from today in Seattle on March 28. Click here to download the new MyTeams App by NBC Sports! Receive comprehensive coverage of your teams and stream the Celtics easily on your device.